S -1° 16' 59" and E 36° 49' 0"
Safety Score: 2,6 of 5.0 based on data from 9 authorites. Meaning we advice caution when travelling to Kenya. Nairobi in Nairobi with it's 2,750,547 habitants is located in Kenya. It's the capital of this country. Current time in Nairobi is now 12:20 AM (Tuesday). The local timezone is named Africa / Nairobi with an UTC offset of 3 hours. We know of 8 airports close to Nairobi, of which one is a larger airport. The closest airport in Kenya is Nairobi Wilson Airport in a distance of 3 mi (or 4 km), South. Besides the airports, there are other travel options available (check left side). There are several Unesco world heritage sites nearby. The closest heritage site in Kenya is Mount Kenya National Park/Natural Forest in a distance of 105 mi (or 169 km), North. We encountered 3 points of interest near this location. If you need a hotel, we compiled a list of available hotels close to the map centre further down the page. While being here, you might want to pay a visit to some of the following locations: Kiambu, Machakos, Kajiado, Murang'a and Nyeri. To further explore this place, just scroll down and browse the available info. Let's start with some photos from the area. Its time for the holiday episode where we learn about making butter with Maspeedy, some Hot Numbers. and some Cool Words! This holiday episode of KZ looks at advice. Do you oftne ask for help and advice? Who gives the best advice? We also catch up with the Soul City Buddiez in South Africa. This holiday catch up episode is a great way to remind yourself of your school work in the holiday! Today we look at being famous. Who would you like to meet that is famous? We also catch up with The Big Three to test ourselves on all types of things! We meet up in the Art Zone in this episode for some fun and games, but also make time for learning in Hot Numbers and Cool Words. We join the gang again today to see what the Junction Juniors are up to as the struggle to stay friends forever. 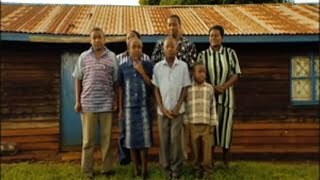 We meet Jospeh and Florence in Kisarian who need help with using biogas, protecting cows against ECF, choosing good seeds, feeding correct fodder & using solar light. S04Ep14. We meet young farmer Kioko in Embu to learn about keeping chickens, evergreen agriculture, making a farm plan, using pesticides on sukuma and tomatoes and keeping diary cows. S04Ep06. On today's shamba shape up we learn how to make Silage, Planting Bananas and sweet potatoes, the importance of using gutters and learn the Push-Pull method for Napier grass and Maize plant. Nairobi is the capital and largest city of Kenya. The city and its surrounding area also forms the Nairobi County. The name "Nairobi" comes from the Maasai phrase Enkare Nyrobi, which translates to "cold water". The phrase is also the Maasai name of the Nairobi river, which in turn lent its name to the city. However, it is popularly known as the "Green City in the Sun" and is surrounded by several expanding villa suburbs. Residents of Nairobi are known as Nairobians. Located at -1.28333, 36.8167 (Lat. / Lng. ), about 0 miles away. Kenyatta International Conference Centre (KICC) is a 30-storey building located in Nairobi, Kenya. It is located in the central business district of Nairobi. It is a venue for conferences, meetings, exhibitions and special events within a walking distance of several five star hotels. It has hosted many international conferences and seminars. There are several well-equipped conferences and meeting rooms with the largest having a capacity over 4,000 delegates. Located at -1.28861, 36.8231 (Lat. / Lng. ), about 1 miles away. 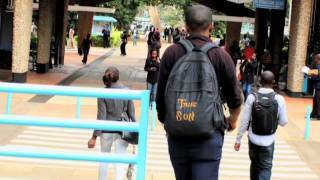 The University of Nairobi (UON) is the largest university in Kenya. Although its history as an educational institution goes back to 1956, it did not become an independent university until 1970 when the University of East Africa was split into three independent universities: Makerere University in Uganda, the University of Dar es Salaam in Tanzania, and the University of Nairobi. In 2011 the University had some 61,912 students, of whom 49,488 were undergraduates and 12,424 postgraduates. Located at -1.27967, 36.8165 (Lat. / Lng. ), about 0 miles away. 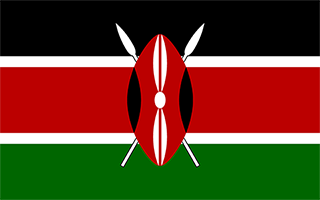 The National Assembly is the lower house of the Parliament of Kenya following the 2010 referendum. Prior to this it was the unicameral legislature of the country. It has a total of 349 seats; 290 elected from the constituencies, 47 women elected from the counties and 12 nominated representatives. The speaker serves as an ex officio member. Located at -1.29, 36.82 (Lat. / Lng. ), about 1 miles away. Nyayo National Stadium is a multi-purpose stadium in Nairobi, Kenya. It is located near the city centre. The stadium holds 30,000 people and was built in 1983. It is currently used mostly for football matches. The popular AFC Leopards football club plays most of its home games at Nyayo stadium. The stadium is also used for athletics and various ceremonies. Other facilities at the Nyayo Stadium include a gymnasium and a 50-metre swimming pool. Located at -1.30361, 36.8242 (Lat. / Lng. ), about 1 miles away. State House is the official residence of the President of Kenya. It was originally known as Government House. This building was built in 1907 in Nairobi to serve as the official residence of the Governor of British East Africa when Kenya was a British Colony. The governor would conduct his official functions at the old Provincial Commissioner’s office (now a national monument) next to Nyayo House and then retire to Government House for the day. Located at -1.2828, 36.8029 (Lat. / Lng. ), about 1 miles away. The East African School of Media Studies (EASMS) is an institution providing high level, technology-based training in media-related courses in the East Africa region. The school, established in 2003 by Donald Giesen and based in Nairobi, Kenya, has the stated goal of providing students with professional training that will enable them to expand and improve the media industry in the East Africa region. Located at -1.28613, 36.8196 (Lat. / Lng. ), about 0 miles away. Nairobi Gymkhana Club is a cricket ground and team in Nairobi, Kenya. It hosted two matches during the 2003 Cricket World Cup. The ground has a capacity of 7,000 people. It is located north of the central business district, but not far from it. The ground is home to a cricket team of the same name, which is one of the oldest cricket clubs in Kenya. Located at -1.27, 36.8274 (Lat. / Lng. ), about 1 miles away. Westlands is a neighborhood in the city of Nairobi, the capital and largest city in Kenya. Located at -1.27, 36.81 (Lat. / Lng. ), about 1 miles away. The Aga Khan Academy, Nairobi is a private, co-educational school situated in pleasant surroundings in the Parklands suburb of Nairobi. The Aga Khan Academy is a not-for-profit independent school registered with the Ministry of Education, Kenya. With approximately 400 students and more than 50 graduate staff. Located at -1.26549, 36.8228 (Lat. / Lng. ), about 1 miles away. The 1998 United States embassy bombings were a series of attacks that occurred on August 7, 1998, in which hundreds of people were killed in simultaneous truck bomb explosions at the United States embassies in the East African capitals of Dar es Salaam, Tanzania, and Nairobi, Kenya. The date of the bombings marked the eighth anniversary of the arrival of American forces in Saudi Arabia. Located at -1.29544, 36.8051 (Lat. / Lng. ), about 1 miles away. The Nairobi Railway Museum is a railway museum in Nairobi, Kenya, adjacent to Nairobi railway station. Containing exhibits from the defunct East African Railways, it was opened in 1971 by East African Railways and Harbours Corporation. It is today operated by Kenya Railways. The museum has maintained its rail connection. This allows for the efficient movement of museum exhibits for maintenance etc. It also allows additions to the collection to be easily placed on site. Located at -1.29306, 36.8225 (Lat. / Lng. ), about 1 miles away. Located at -1.26727, 36.8283 (Lat. / Lng. ), about 1 miles away. The Nairobi Club Ground is a multi-use sports venue in Upper Hill, Nairobi, Kenya. It is the oldest cricket ground in Kenya, and was the first to get a turf wicket, which was laid by Don Pringle, who played for East Africa in the 1975 Cricket World Cup. Located at -1.29694, 36.81 (Lat. / Lng. ), about 1 miles away. The A109 road is the main road link between the Kenyan cities of Nairobi and Mombasa. It is also known as The Mombasa road. For the majority of the distance, the road runs adjacent to the Nairobi-Mombasa main line, itself a branch of the Uganda Railway. It is also regarded as one of the most dangerous roads in the country due to the many hundreds of road deaths that have occurred in the last few years. Located at -1.2927, 36.8204 (Lat. / Lng. ), about 1 miles away. Kenya Institute of Social Work and Community Development (KISWCD) is a community-focused development and training institution without any governmental, religious or political affiliation. KISWCD was initiated in 1997 and incorporated on 22 June 2000 as a private company limited by guarantee. It was registered by the Ministry of Education, Science and Technology on 22 August 2002 as a training institution. Located at -1.28701, 36.8376 (Lat. / Lng. ), about 1 miles away. Kenyatta National Hospital in Nairobi is the oldest hospital in Kenya. Founded in 1901 with a bed capacity of 40 as the Native Civil hospital, it was renamed the King George VI in 1952. At that time the settler community were served by the nearby European Hospital. It was renamed Kenyatta National Hospital -- after Jomo Kenyatta -- following independence from the British. It is currently the largest referral and teaching hospital in the country. Located at -1.30069, 36.807 (Lat. / Lng. ), about 1 miles away. The Cathedral Basilica of the Holy Family is a Roman Catholic cathedral and basilica dedicated to the Holy Family located in Nairobi, Kenya. The basilica is the seat of the Archdiocese of Nairobi. The church was designated a basilica on February 15, 1982. Located at -1.28694, 36.8206 (Lat. / Lng. ), about 0 miles away. Nairobi railway station is a railway station located in Nairobi, Kenya. The station is on the Uganda Railway, and runs services to Mombasa three times per week. There has, however, been suggestion that daily services will resume from around Easter 2010 for the first time since August 2004. Located at -1.29166, 36.8286 (Lat. / Lng. ), about 1 miles away. Jamhuri High School, formerly known as Government Indian School and later The Duke of Gloucester School, is one of the oldest schools in Kenya. It was founded as a Railway Educational Centre in 1906. Prior to Kenya's independence from the British, the school, located at Ngara Nairobi, predominantly enrolled students from the Indian community in Nairobi, hence its former name Government Indian School. Located at -1.27191, 36.8229 (Lat. / Lng. ), about 1 miles away. Upper Hill is a neighborhood in the city of Nairobi, the capital and largest city in Kenya. Located at -1.30139, 36.8175 (Lat. / Lng. ), about 1 miles away. Kenya Commercial Bank Plaza (KCB Plaza) is a building under construction in Nairobi, Kenya's capital and largest city. Located at -1.3, 36.8133 (Lat. / Lng. ), about 1 miles away. Sir Ali Muslim Club Ground is a cricket ground in Nairobi, Kenya. The first recorded match held on the ground came in 1994 when Young Kenya played Bangladesh in a warm-up match for the ICC Trophy which Kenya was hosting. In the main event itself, the ground held seven matches involving various national teams. In 2003 the ground held its first List A matches when Kenya played Sri Lanka A in a two match series. The following year a third List A match was held there when Kenya played Pakistan A. Located at -1.27651, 36.8335 (Lat. / Lng. ), about 1 miles away. The 2011 Safari Sevens were the 16th annual edition of the Safari Sevens. Located at -1.30419, 36.8245 (Lat. / Lng. ), about 2 miles away. These districts belong to Nairobi. These are districts that are close by, but belong to a different city than Nairobi. These are some bigger and more relevant cities in the wider vivinity of Nairobi. A VIEW OF THE INEVITABLE FUTURE | BITCOIN MILLIONAIRE TOUR OF NAIROBI. Mobile Data Collection And Mapping For M&E And Scientists Training Course. These are the most popular locations in Kenya on Tripmondo.